We're midway through August, but that's not stopping Dipset rapper Cam'ron from supporting his 1st of the Month Vol. 2 EP with a new video. Bound to no timeline, the New York figure is contemplating life and death from the couch in the clip for "Sweetest." 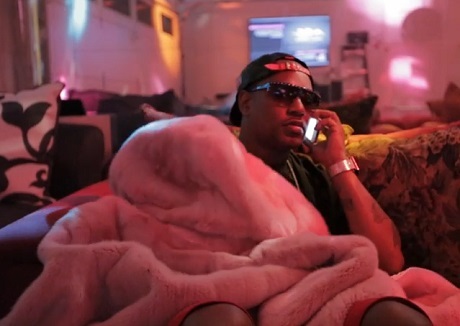 Found napping 'neath his iconic pink mink jacket, Cam'ron is woken by a phone call and gets into a quick argument before running off reflective bars about growing up on Lennox Ave., growing up too fast and losing a lot of his friends to gun violence. Dedicating the song to the crew he misses, Cam'ron can be found delivering the soul-sampling heart-breaker down below.